When it comes to skin care, the number of options available can be overwhelming! If you’re trying to take a natural approach to skin care it can be hard to decipher what’s “natural” and what isn’t. 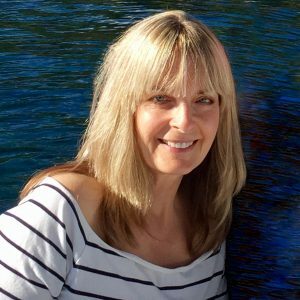 That’s why I’m so pleased to share this interview with Joni Keim. Not only is Joni a member of our e3 staff as a natural skin care specialist and aromatherapist, but she is also a well-respected author of one of our favorite skin care books, “Natural Skin Care: Alternative & Traditional Techniques.” She shares with us her well-researched approach to natural skin care and how to integrate aromatherapy into your skin care routine. 1. Tell us a little bit about your background and interest in skin care. I became a licensed aesthetician (skin care specialist) in 1979. My children were young at that time, and I wanted to be home with them. So, instead of working outside the home, I began studying and writing about skin care as well as the many things that contribute to a beautiful complexion, such as nutrition and exercise. Because I had a penchant for all things natural and healthy, this was my approach to skin care as well. I wrote skin care and natural health articles for many years. My writing routine was to get up early, about 4:30 a.m., and write until the family got up. I contributed regularly to natural health magazines and professional skin care journals. The articles were primarily about internal and external approaches for taking care of the skin, but including other topics, such as aromatherapy. I was invited to be on a personal care (skin, hair, and nails) advisory board, and Bastyr College commissioned me to write the personal care chapters of a program they developed for the natural product industry. I also worked behind the scenes for natural skin care companies in product development and research. During this time, I studied with a naturopathic physician. In 1992, I completed advanced training in a European method of skin care and then opened a private skin care practice in Sonoma County. For over 35 years, I continued writing, working, or consulting for established and start-up companies as well as special projects. My most treasured project, and one for which I will be forever grateful, was for California Pacific Medical Center’s Institute for Health and Healing in San Francisco. I designed and implemented a comprehensive, natural skin care treatment. It was offered in a beautiful new treatment room that was part of their facility. I trained the staff and produced educational materials for the clients. Everything I could professionally offer was brought to bear on this project, and it was incredibly rewarding. 2. 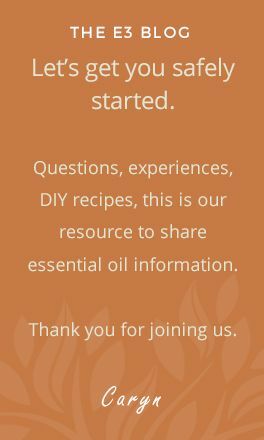 When did you write the first version of the book, “Natural Skin Care” and what motivated you to update it? The first edition of “Natural Skin Care” came out in 1996, after 17 years of being an aesthetician. Two years ago, I happened to look through it. I recognized that some of the information was out-of-date, some was not as complete as I would have liked it to be, some no longer represented my professional perspective or opinion, and some new information that was not available in 1996 was missing. Other information in the book remained accurate and relevant, but I knew it was time for a re-write. I looked forward to delving deeply, once again, into this subject that has remained interesting to me and is now nostalgic as well. With a 35-year perspective on the practice and commerce of natural skin care, I began writing this second edition. 3. You write about lifestyle choices that impact the health of our skin. Tell us about that. Do you find that the majority of people are surprised that exercise, diet, etc. can influence their skin? Natural skin care is actually natural health care because the skin reflects internal health, and they cannot be separated. It is all about internal and external lifestyle choices, including the products used on the skin. “Natural Skin Care” goes into great detail to explain the key factors that affect the skin. They are listed in “The Checklist for Beautiful Skin” and include information about sun exposure, smoking, exercise, food, gut health, sleep, hormones, skin care products, and stress. Yes, many years ago, it DID surprise my clients that diet, exercise, etc. influenced their skin. These days, not so much. The public is much more savvy about overall health and how it affects the skin. 4. How did you become introduced to aromatherapy and what are the benefits? My introduction to aromatherapy was at an Herbal Retreat in Sonoma County in about 1980. The retreat was organized by Rosemary Gladstar and I was teaching a class there. 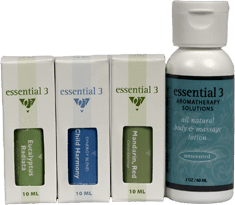 I was able to attend a class on aromatherapy, taught by a woman who based her information on Robert Tisserand’s book, “The Art of Aromatherapy.” Essential oils were passed around and I was captivated and hooked. Then in 1987, I studied with Dr. Kurt Schnaubelt. I have never stopped studying and have enjoyed a variety of teachers and seminars. In 2010, I spoke with a colleague who had attended an aromatherapy trade show and met Caryn. She told me about being impressed by Caryn and her company. I checked out her website and noticed that she was selling one of my books, so I called her to say hello. We lived only a few hours apart, so we set up a meeting. We have worked on several projects together. I am forever grateful my path crossed with dear Caryn. The aromatherapy world needs people like her. The benefits of aromatherapy are far-reaching and profound, and too extensive to go into here. If put succinctly, aromatherapy can benefit all levels of the human experience: physical, emotional, mental, and spiritual. Aromatherapy is under the umbrella of herbal/plant medicine, which has been around for centuries and remains the most commonly-used form of medicine on the planet today. However, aromatherapy is not a panacea. It has strong capabilities as well as weaknesses. It needs to be used correctly. It needs to fit the purpose and align with the person’s constitution and condition in order to achieve the desired results. Individual reactions and results vary. 5. Which essential oils do you most often recommend for an all-natural skin care routine? I try not to make sweeping recommendations because there are always specifics and exceptions. That being said, there is a core group of all-natural essential oils that I consider the top ones for skin care. They are: Lavender (high-altitude), the Chamomiles (German and Roman). Geranium, Rose, Neroli, Sandalwood, Frankincense, Ylang Ylang, Carrot Seed, Patchouli, Helichrysum, and Vetiver. There are other essential oils that offer benefits for skin care but these should cover just about any skin care situation. 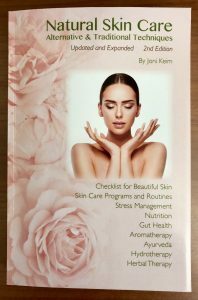 Joni’s updated and expanded book “Natural Skin Care: Alternative & Traditional Techniques”, is our go-to resource for skin care advice so we now keep it in stock to make it available to our customers. Joni will be sharing some wonderful tips later on this month that fit with our monthly theme of kindness and self-care. If you have a question on how to integrate aromatherapy into your natural skin care routine please let us know.